Targets algae growth at a cellular level! 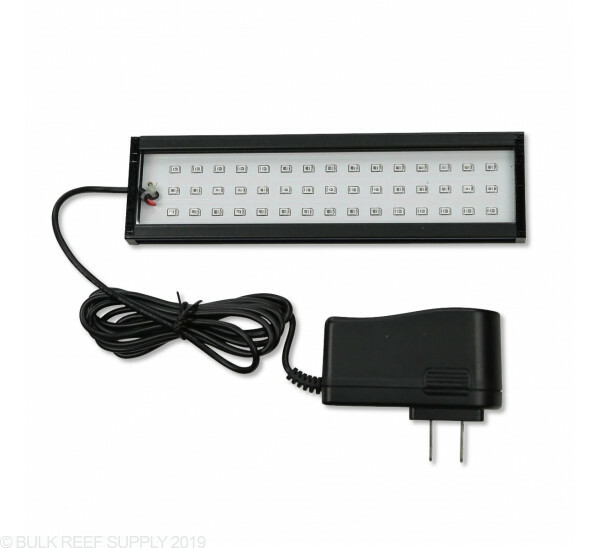 Innovative Marine's ChaetoMax 2-n-1 Refugium LED was designed for sumps and AIO tanks that utilize a refugium. 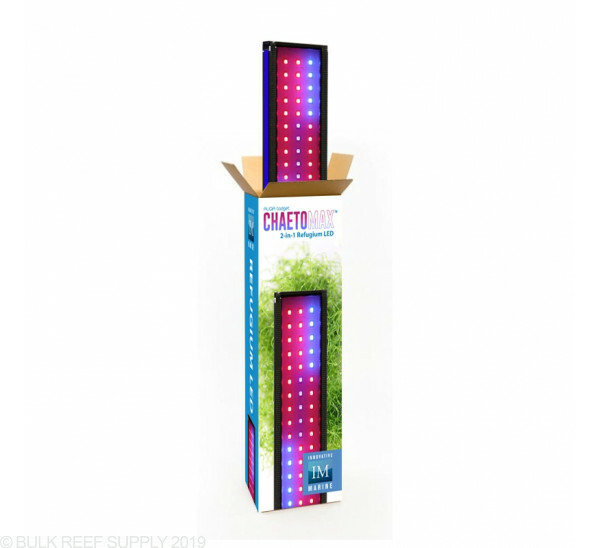 With multiple mounting options and 45 carefully selected LEDs, the ChaetoMax will help increase your algae growth and yield. Maximize your algae growth within your refugium to help absorb nutrients like nitrate and phosphate, that you can harvest and export. Over the past few years, specific spectrums have been found to be very beneficial where others are just wasting light. Certain spectrums that fall between 400-470nm along with 620-680nm target the plants cellular growth structure, leading to faster growth, with no wasted energy. 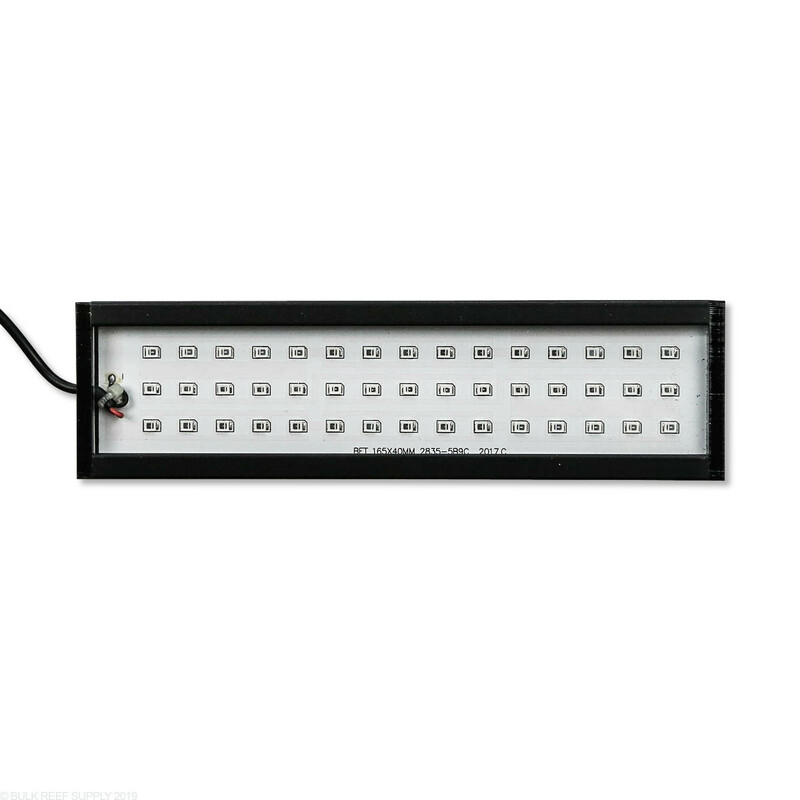 The ChaetoMax has 45 high-efficient LEDs packed into a super slip housing. 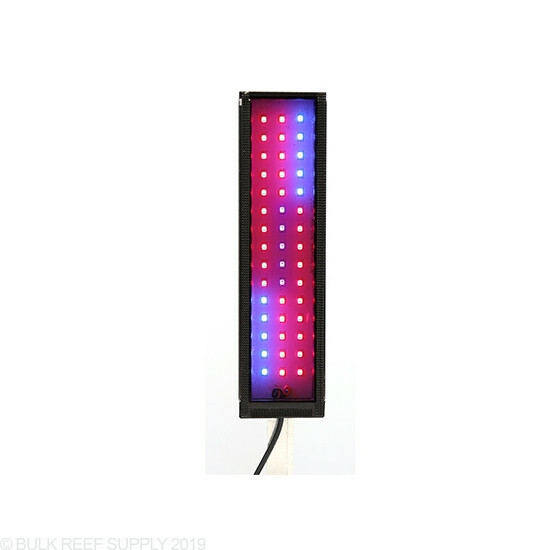 Innovative Marine carefully selected LEDs in the proper spectrum for rapid algae growth. 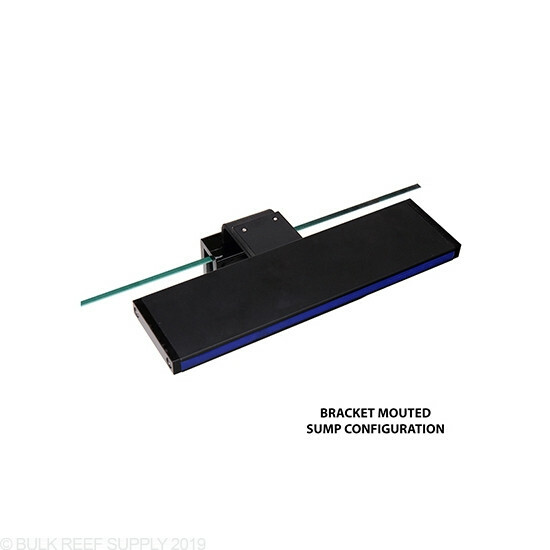 You can add the ChaetoMax to almost any sump or AIO aquarium with its dual mounting options. 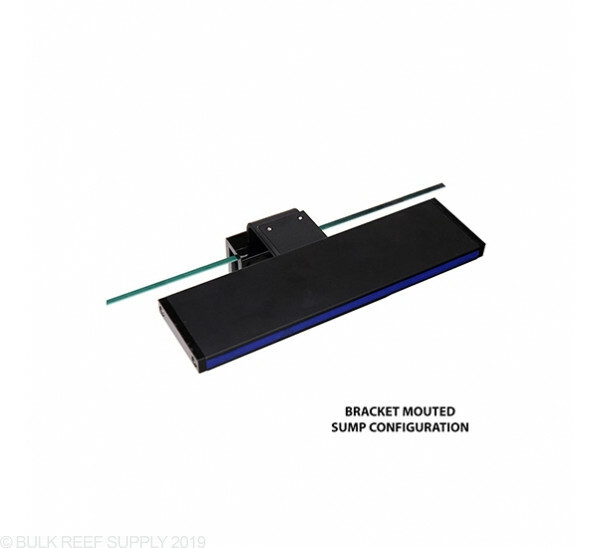 Either use the included bracket to mount the refugium light directly to the rim of your sump or tank, or use the included hook & loop pieces to securely attach the light to the side of your refugium. 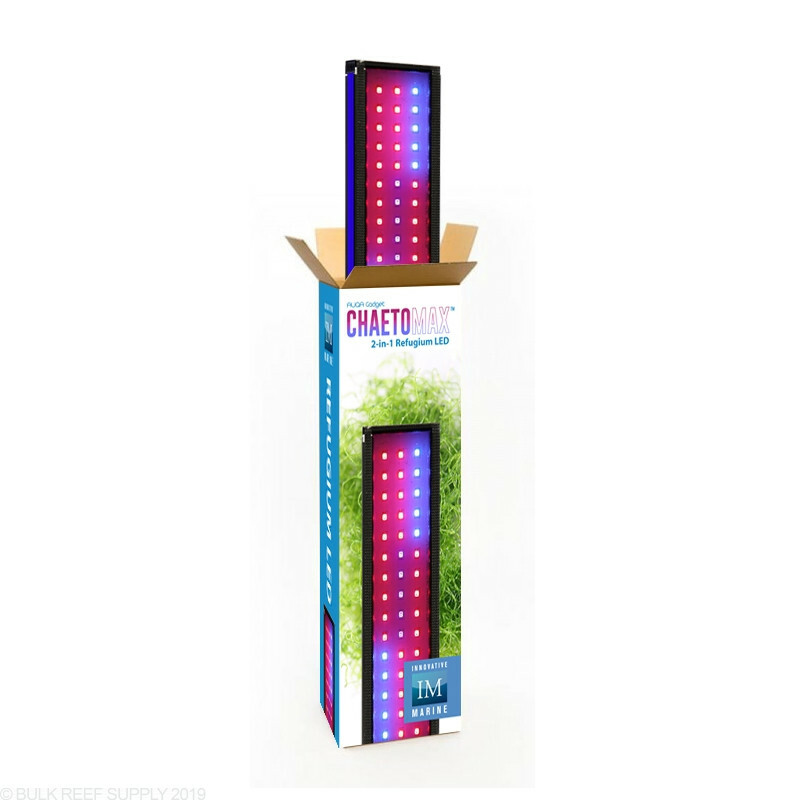 Optimal Coverage Area - 9" x 4"
I try a few cheap lights to grow chaeto in my refugium without success. Then I give the Chaetomax a try and works wonders. From a gulf ball size to a full refugium in two weeks. The light is quite powerful, however the mounting brackets are not wide enough to fit the glass on the Red Sea Reefer sumps. This is a great product was extremely happy with the amount of growth I have gotten from my cyto growing. Helped my seahorse tank out a lot. Will stand it’s ground with the kessel 80. Over all worth every penny! I've been running one of these at night to help ph stability. I'm sorry to say on my AIO 15 gallon nano, which has a two gallon fuge, it's almost ineffectual. 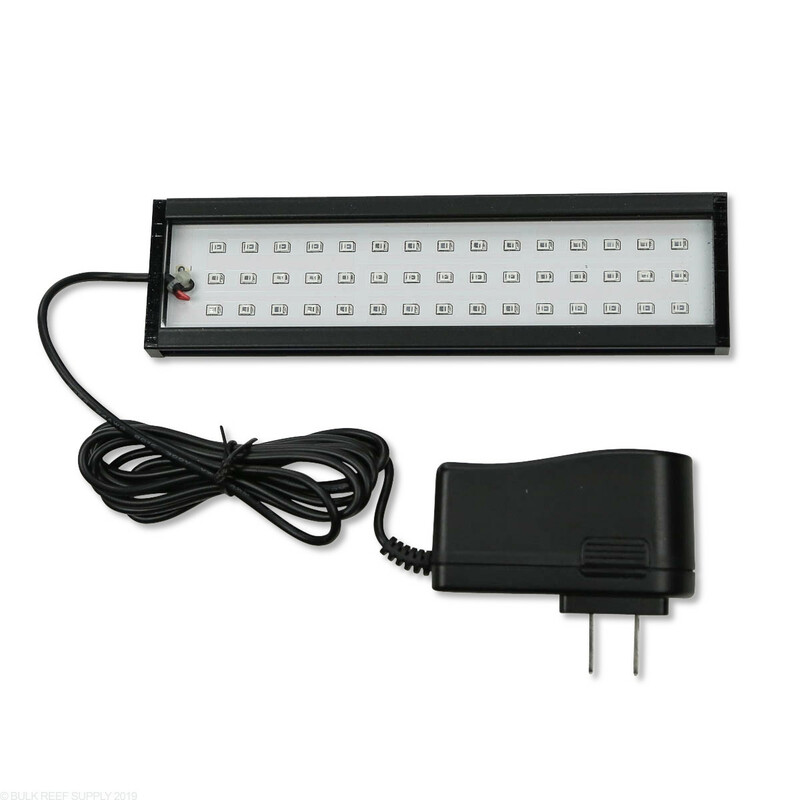 It's well made and makes a cool night light in the room, enough for the fish to see from room reflection. Since my fuge is next to a window it's hard to say if the fixture is helping with PO4 & NO3 but the chaeto is keeping both levels near zero. Going to try the Kessil H80. 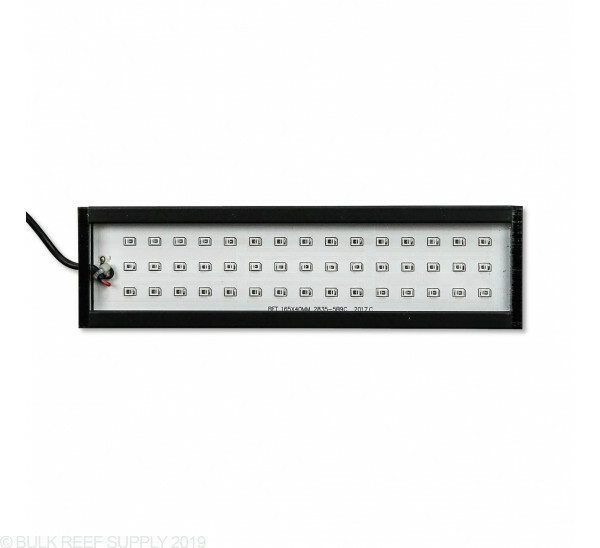 I converted my ATO reservoir into a refugium in my RSM Reefer 250 and was using a kessil H80 and was replaced with two of these to not have light spills all over my sump and have more uniform coverage. Overall they do an awesome job. Excellent little beasts. Well done IM!!! Ok here is my review of the Innovative Marine cheatomax refugium. Link to brs included. This is 4 weeks of growth. I grown green hair instead of cheato. I recently started running it for 20 on 4 off a day. I've seen higher ph then ever before and more stable too. I only run display light for 10 hours with 2 hr peak hold ramped on and off. Little thing works well. 53.6 grams in 4 weeks. Not bad at all. Got this after a recommendation from one of the BRS staff. So far, it works like the proverbial charm on my IM Nuvo Fusion 10. After cycling, it took the nitrates down to near 0 in only two days. Have to clean the chaeto out of the refugium chamber at least every 10 days. Really like the application here, I have now moved the chaeto to the filter area of my nano, before I used a phosban reactor 150 so water was pumped outside my nano. I am happier having the chaeto in the nano aquarium’s filter area as these can be Velcro mounted to the aquarium and got rid of the pump going to the phosban reactor. Two downsides, 1) that there is no way, a single one of these will out compete the main light for the aquarium tank to grow the chaeto faster than display tank algae, I’ve just added a second one of these, 2) the cord is hard wired from the plug to the light, the plug was too large to fit through the hole of the stand, I had to make modifations, they should have spliced the cord to connect through aquarium stands. Build quality otherwise seems great. I have a small chamber in my sump that measures 16”x6”. Would this work? The Chaetomax would actually be an ideal light for that size refugium. You will want to keep it a few inches from the surface of the water to help increase the spread but it should work well. The chaetomax light is really designed for smaller applications such as the back chamber of the innovative marine all-in-one tanks. The power is pretty limited and would not likely work for anything more than a few inches deep and several inches accross. 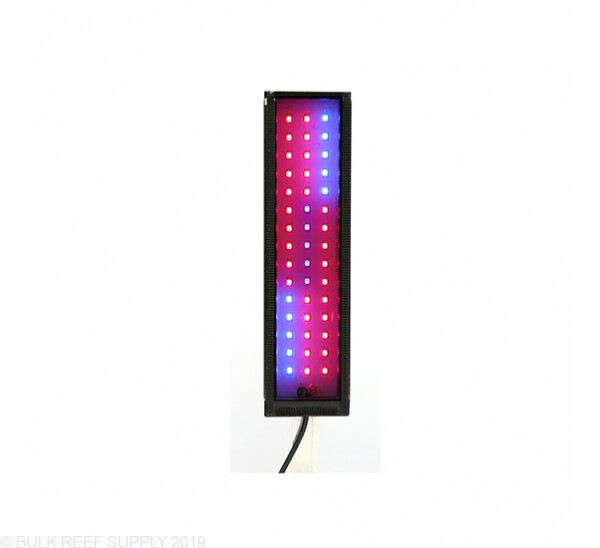 For larger refugium areas, I would suggest the Zetlight fuge lights, Tunze LEDs, or even the Kessil grow lights. Will this work for a 20g sump? What is the area you are trying to light? if you are trying to light the entire sump then it will be a bit too small, however, if you are going to section the tank off we would need to know the area that it needs to be effective for. For an effective refugium of that size, we would highly suggest using the Kessil H380 or something larger. The Chaetomax would probably max out on refugiums around 8" x 8" while still being effective. We have not tested the PAR measurements on this light due to it being very new. For a 12" deep tank this would not be an ideal light. 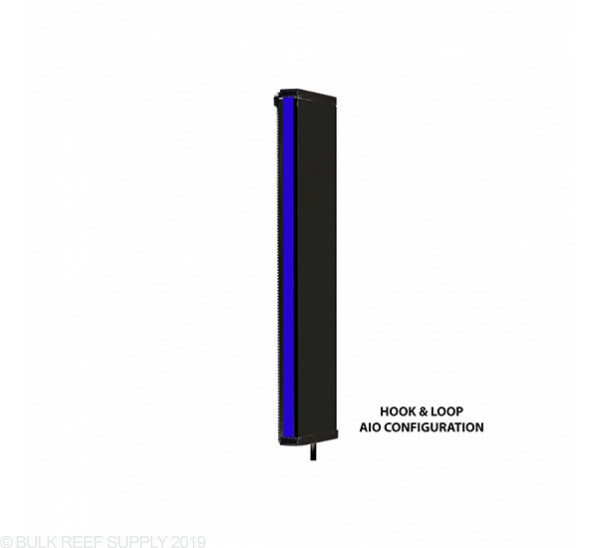 The PAR readings at 12" would be very dismal, and we would suggest looking into the Kessil H380 if you are looking to run a refugium that is a foot deep. Will you be doing a review on this soon ? We are hoping to get this light on the test bench soon, but to my knowledge, their is no immediate plan at this time. Can I mount this to my acrylic sump - (Horizontal Lip)? The included bracket will not mount to a euro-braced. They do also include velcro strips for attachment to other smooth surface, which would likely allow for easy attachment to your rim or the side of the sump.